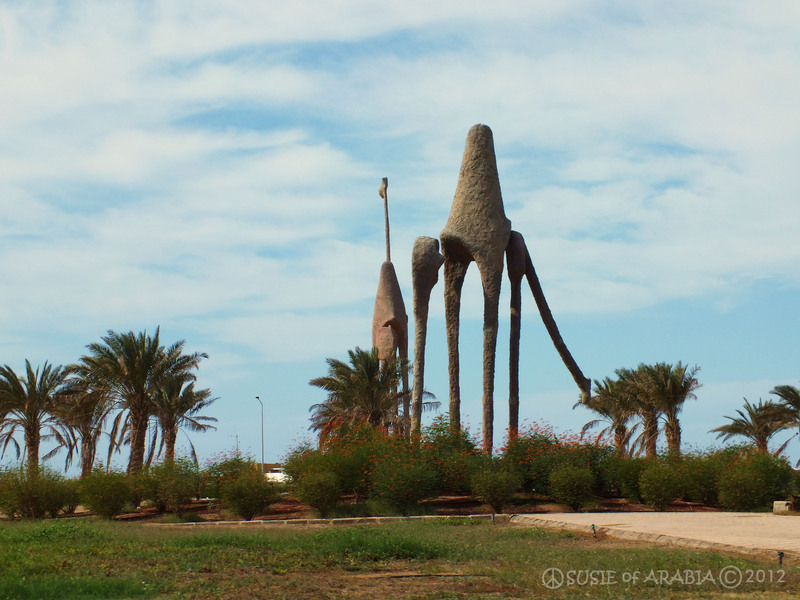 I have posted many photos of the amazing sculptures of Jeddah, so for those of you interested in just the sculptures, I’ve collected the links for them here on one easy page. Clicking on the link takes you to the actual post with any information I might have about the piece of art itself. Clicking on the thumbnails below enlarges the photo only, but there are not thumbnails for each sculpture. Enjoy! 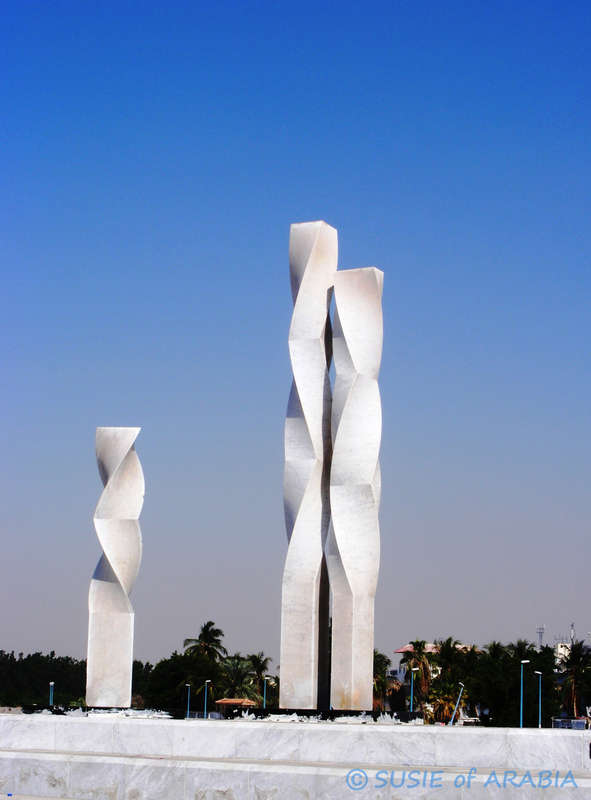 Sculptures of Jeddah Slideshow 3. Thanks for sharing these incredible treasures. Art is definitely the Universal language, and it’s much easier to take than the spoken word. I am not an Art major, and can’t even draw a simple pictures, but I admire people who can. They give so much to the rest of us. I guess I’m saying, More art, less talk. Thank you much Mam! This has been a very help for us here in Bangladesh. 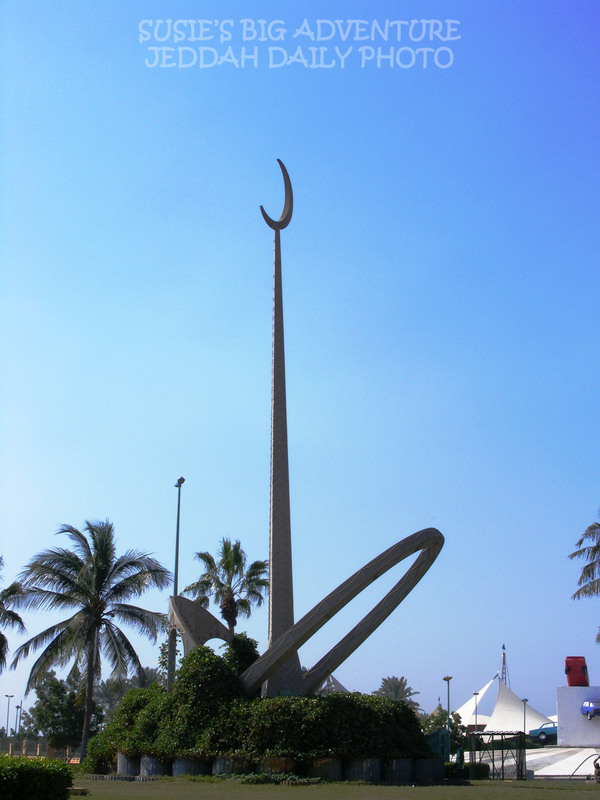 The radical clerics claim that sculptures of living being are prohibited in Islam. While it is not. Only idolatry is. I used two of your pictures with your link below. Hope it is OK.
Dear Susie! 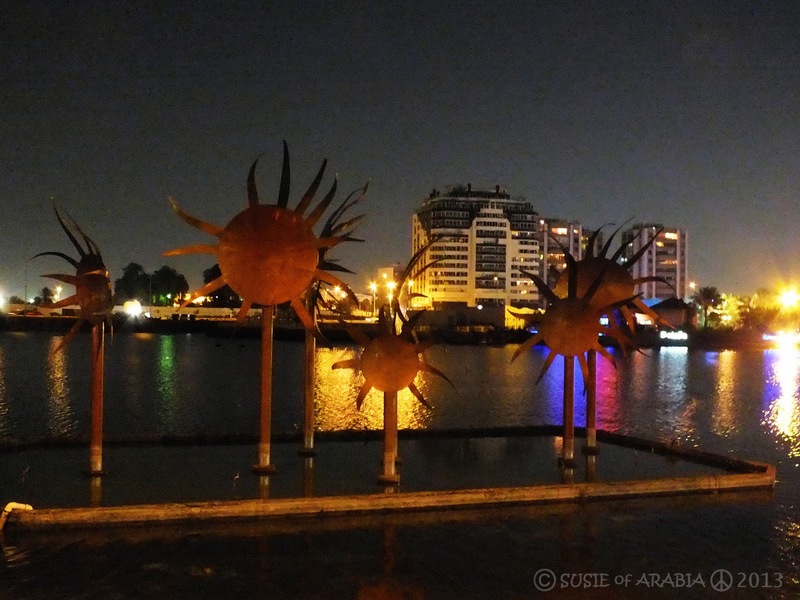 Thank You for documenting sculptures of Jeddah. It has been really interesting to see them. 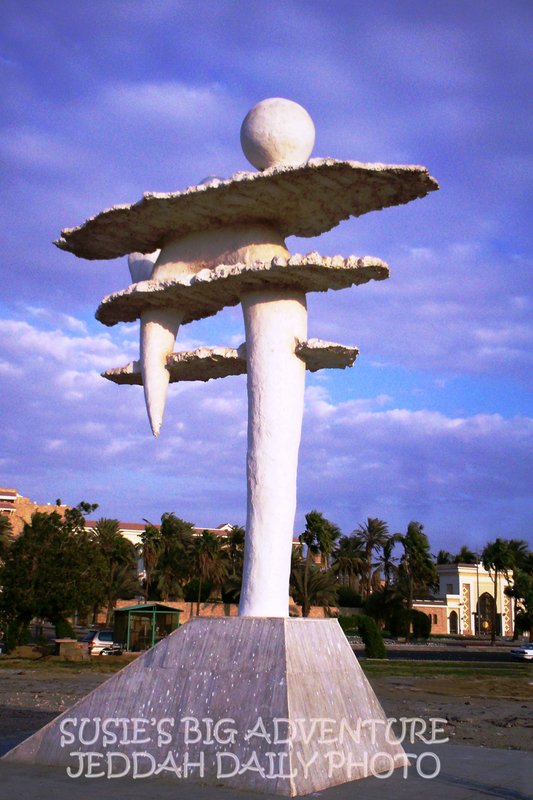 I am a sculptor and I didn´t know at all about the art in Jeddah. I was just looking for some information about Saudi Arabia. 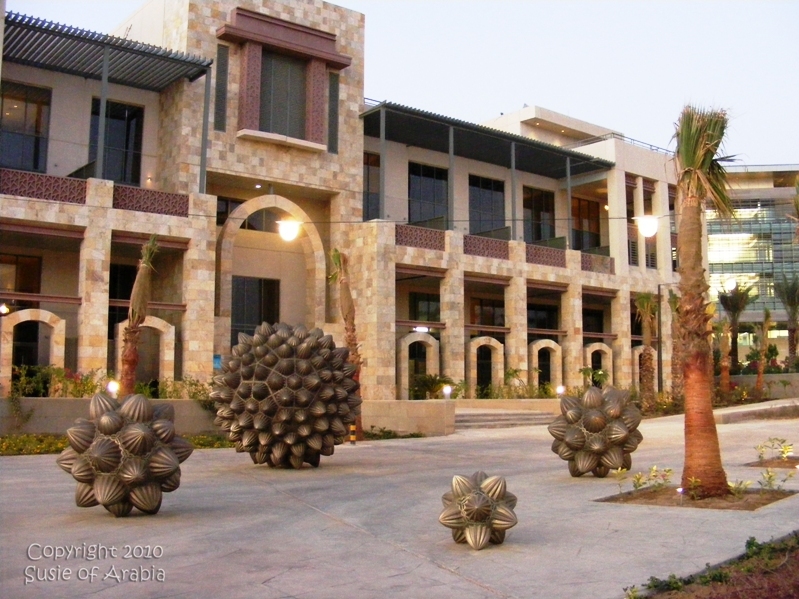 It was a surprise to find your blogg and all those sculptures! 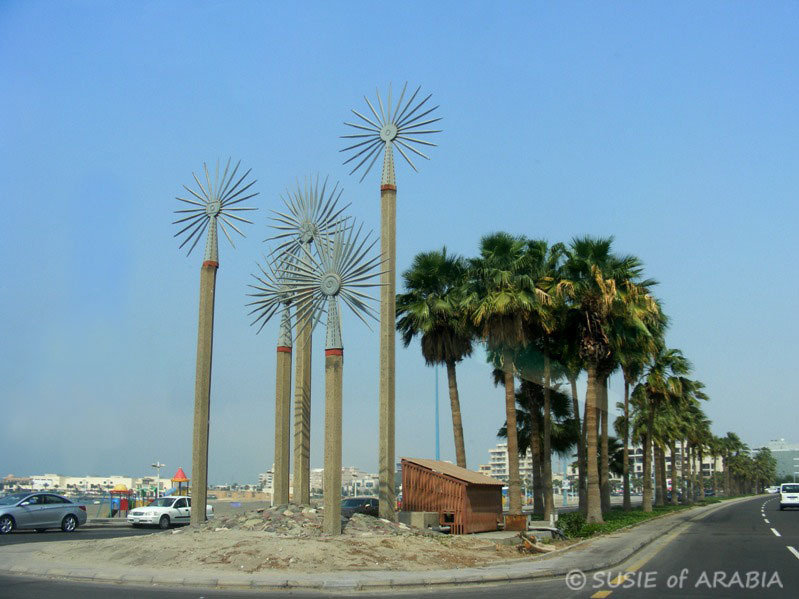 Do you think there is a chance for me – woman artist- to offer some sculptures to someone responsible in Jeddah? Probably women are supposed not to work outside home… I am a stone sculptor, so I am very different from muslim women. Please, could you tell me your opinion. I´d really appreciate an advice how to introduce art, made by a woman, to arab countries because it seems a little complicated 🙂 Thank you. 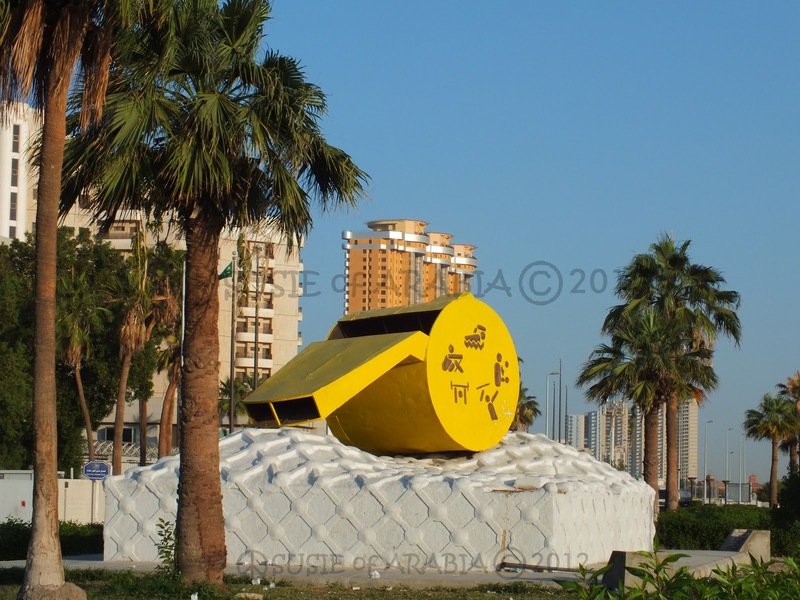 Hi Ivana – I have forwarded you information to a person on the committee for the Jeddah Restoration Project. I’m not sure if they are purchasing or commissioning new works at this time. By the way, your sculptures are lovely. 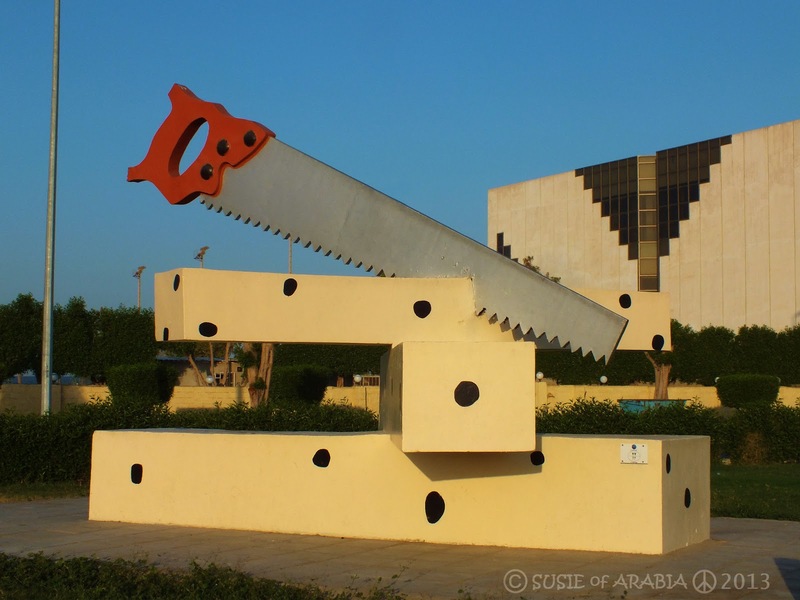 Living creatures are not depicted in their entirety in art in Saudi Arabia due to religious reasons. Best Wishes! Hi Susie! Thank you very much for your reply and for forwarding of my information. 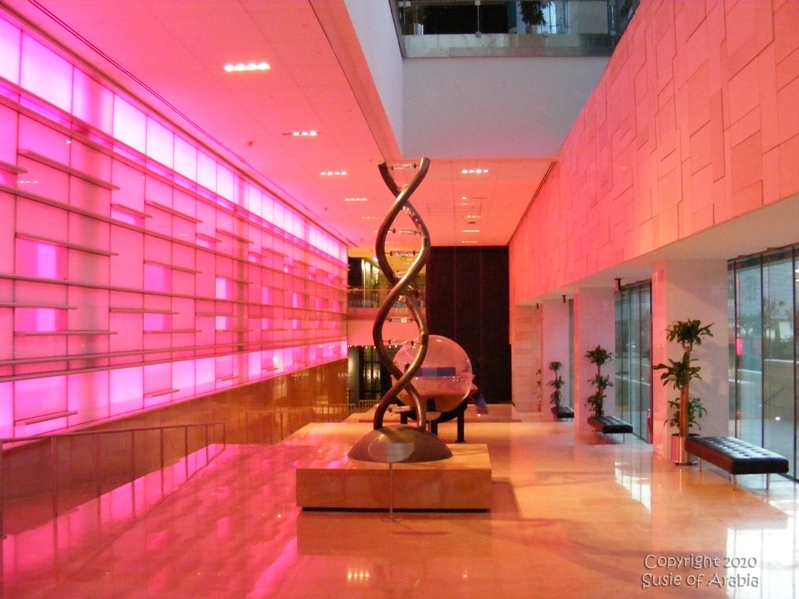 I can send pictures of my sculptures that do not depict living creatures if somebody would like to see. 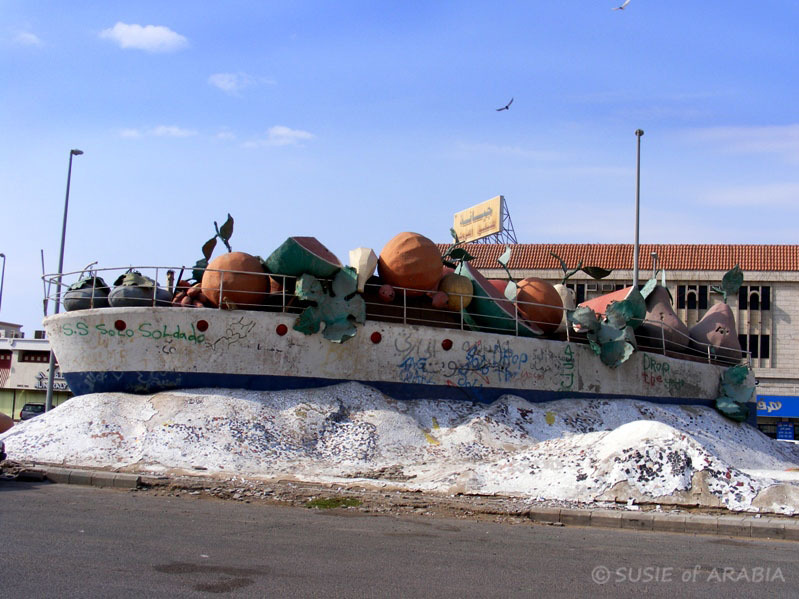 I am afraid that my blog with photos of myself and the sculpture Fish was not the most suitable presentation. A friend of mine moved to Riyadh recently to work for period of time. I hope to visit the country one day but I have to learn at first how the muslim system works to understand how to behave. Thank you for your blog! My pleasure, Ivana. 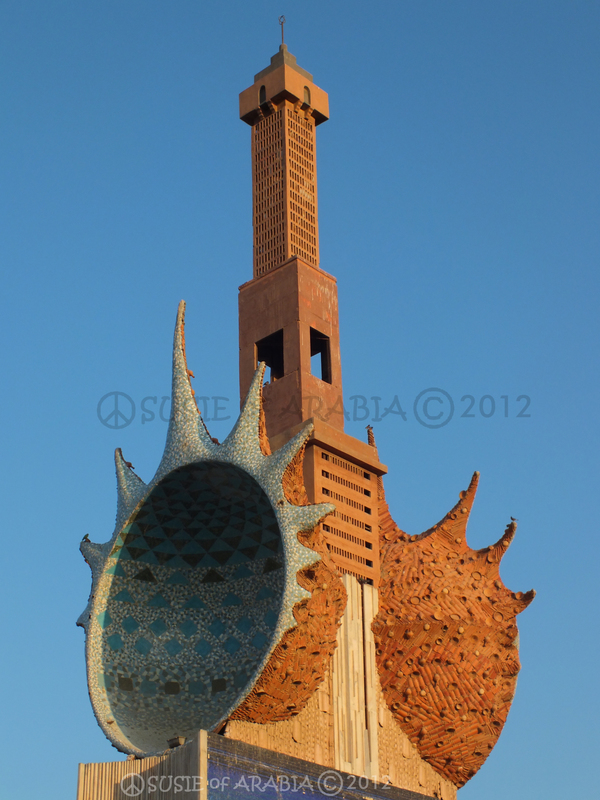 I love the sculpture of the fish! Hi Harlene – Just exercise discretion, especially when taking photos with people in them. Women here particularly do not appreciate having their photos taken. I do try to ask but it’s not always possible. Also be careful taking photos around government buildings. You will see signs that prohibit photos in certain areas. I wish you all the best in your new adventure here in Saudi Arabia! 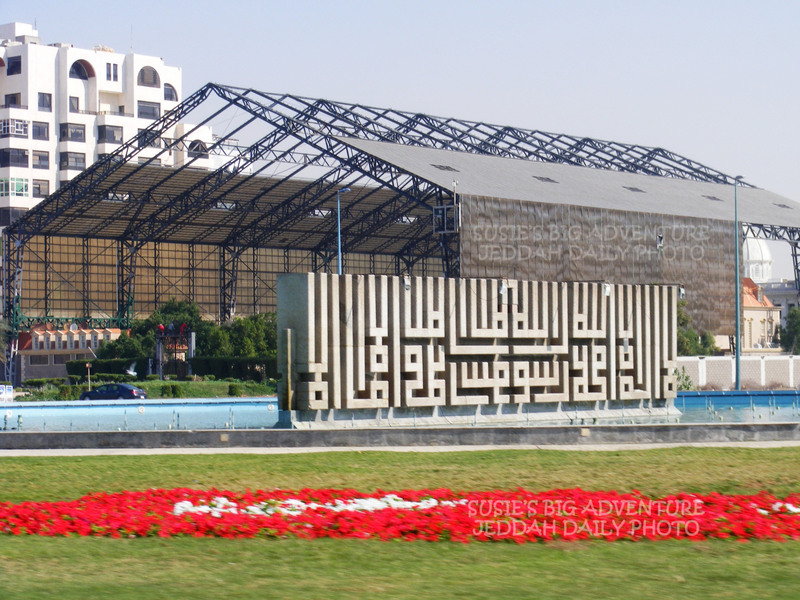 JEDDHA IS VERY BEAUTIFULL CITY . I LIKE IT . 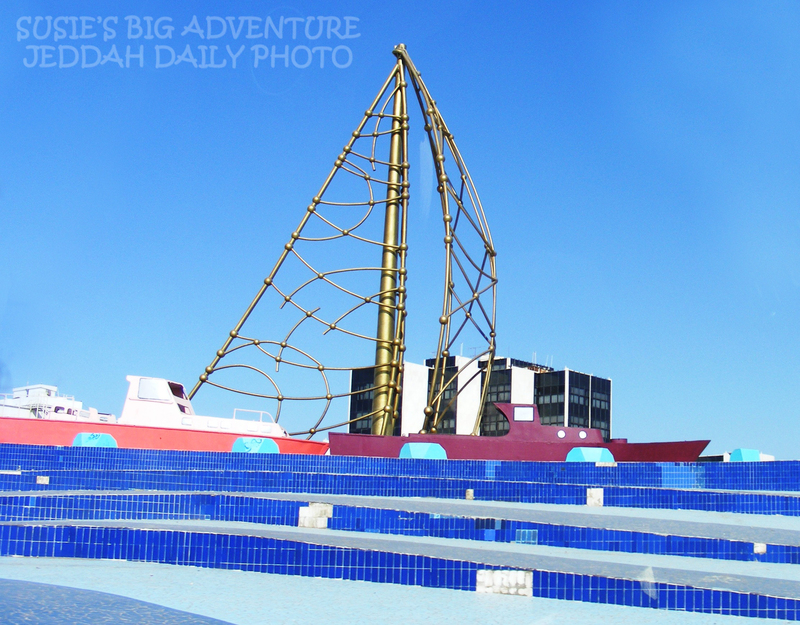 IN JEDDHA VERY BEAUTIFULL SEA AND VERY BEAUTIFULL PARK AND MANT PLACE THERE . LIKE OLD CITY IN BALAD AND BAAB MAKHHA . 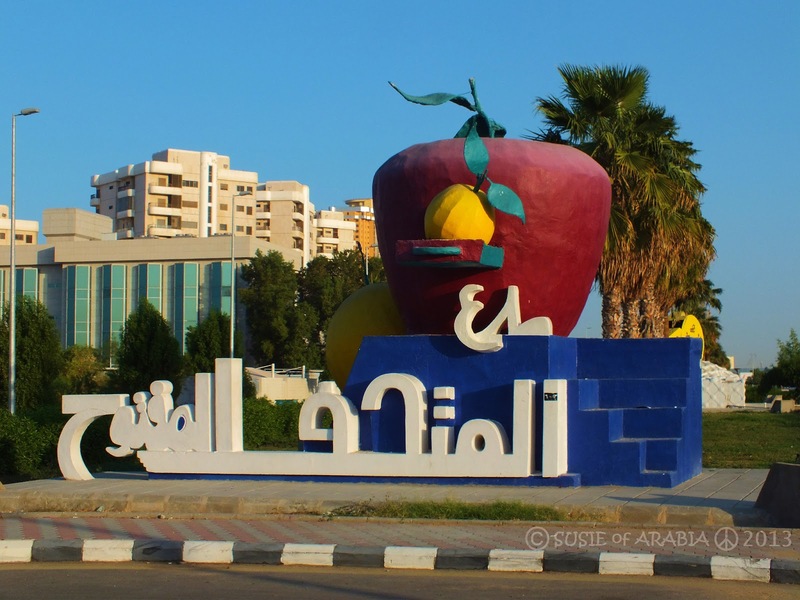 ALSOO THERE IS MANY MOMERIES OF OLD JEDDHA CITY . KORNISH IS VERY BEAUTIFULL SITE . ALHUMRHA AND NEW KING ABDULLA ROAD IS VERY BEAUTIFULL . This is one of the many works of Mohamed Bayoumi and Doctor Ali Bayoumi. 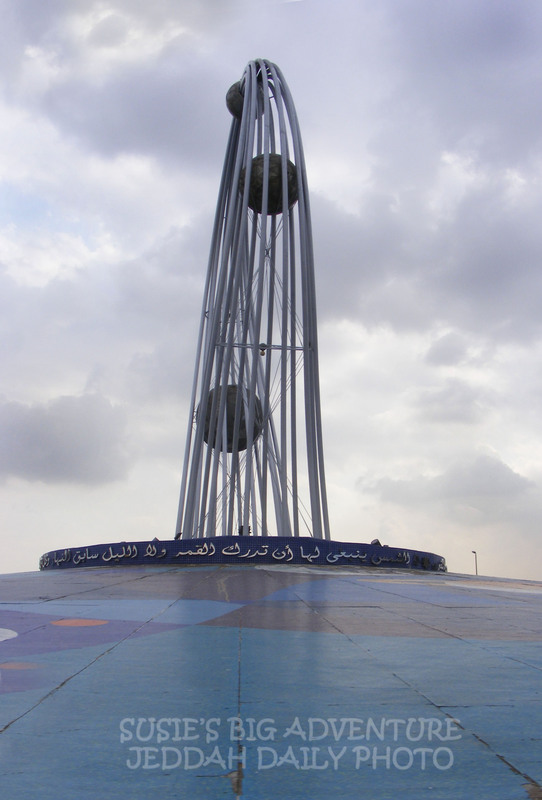 It was built in 1977 under the rule of Doctor Mohamed Saide Farsey. I recently sent an email telling you this is my work but you never updated the site to show the artist behind this work. Thank you for the site and showing the art if juddah. If you can please update the current information and email me back at bayoumi3636@yahoo.com. Hi Hannah – I’m so pleased at your excitement. You are most welcome. Great photo blog. Love your work… ! Thanks so much, Yasir – I’m taking a break right now, but I’ll be back! Loved your pictures!! 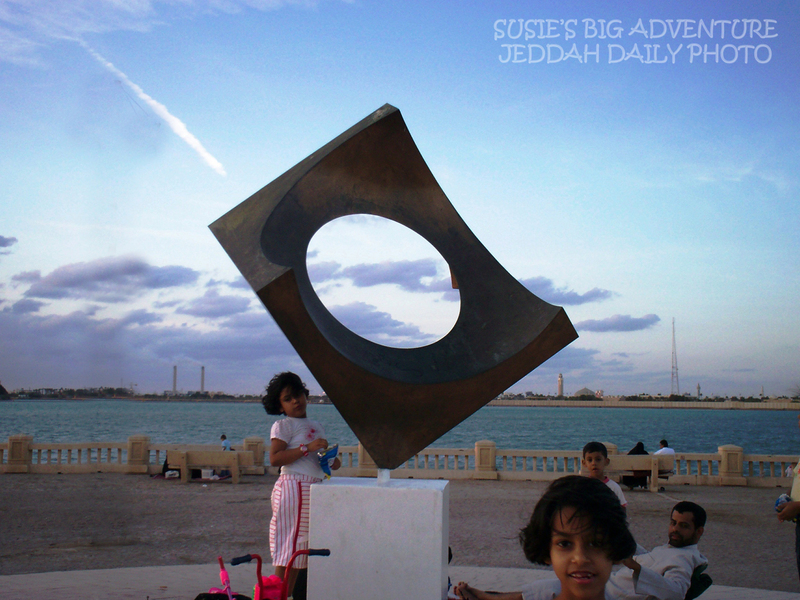 iam staying in Jeddah for the past nine years and love to take photographs but some how im still hesitant to take photos in public coz of the rules here, dont want my camera to be snatched by a crazy policeman!! Ihave shared your link to my facebook account. I wanted to save these photos in my laptop, can you guide me how can i do that?? can i also upload photos taken from my camera?? Hi Farhana – Thanks! I did just write about an incident that recently happened to me taking photos here on my other blog, Susie’s Big Adventure. It worked out fine, but it made us a little uneasy because you never know what could happen. If you just right click on the photo, then click COPY, and past it into a photo file – that should work. As far as uploading from my camera, I just take the SmartCard out of the camera and can stick it into a slot on my laptop – it’s very easy. 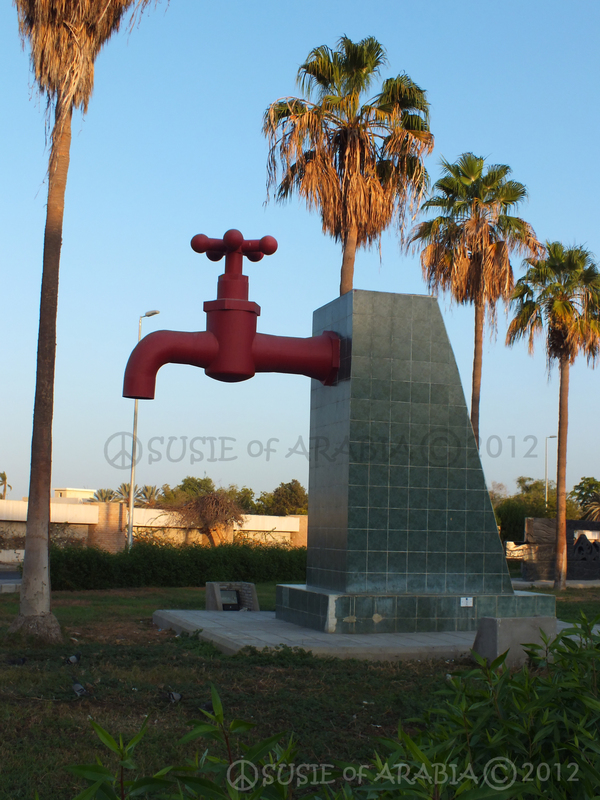 I just came across your website while searching for Jeddah sculptures. 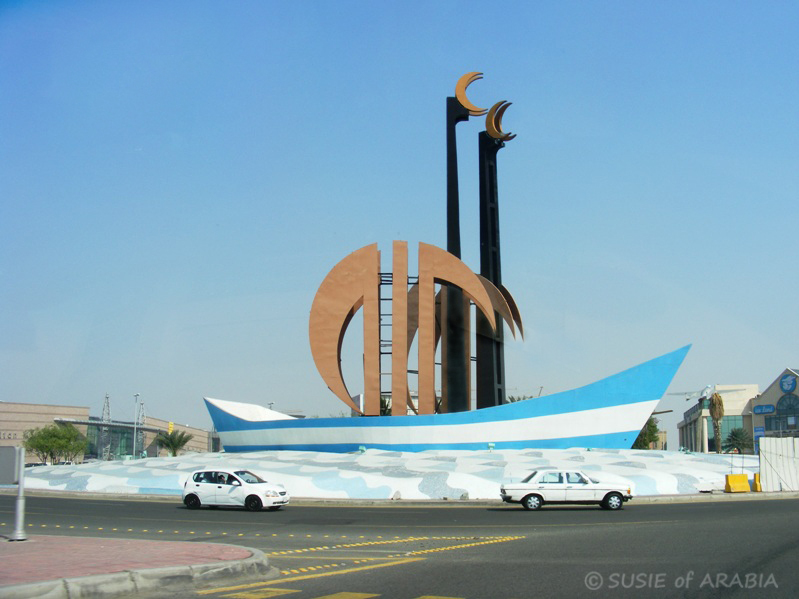 I’ve got a similar comment to Sally Prosser’s, as I lived in Jeddah from 1998 – 2000 and was afraid to take photos of the many beautiful sculptures which were a highlight of my stay there. 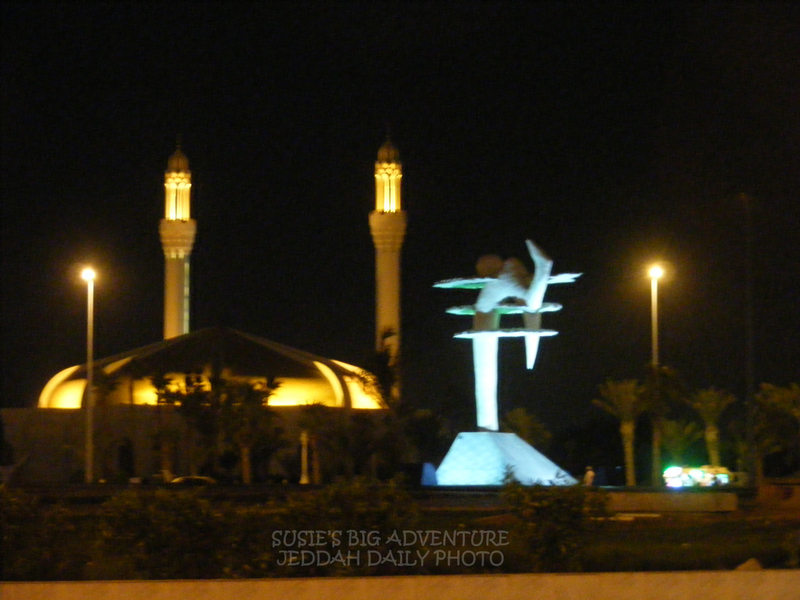 I did take a walking tour of old Jeddah and took many photos since they were “allowed” on the tour. I haven’t had a chance to look very closely at your photos yet, but appreciate the information you have found on the sculptures. I’m looking forward to having some time to look at them more closely. Would it be OK to copy the photos for my personal use only? 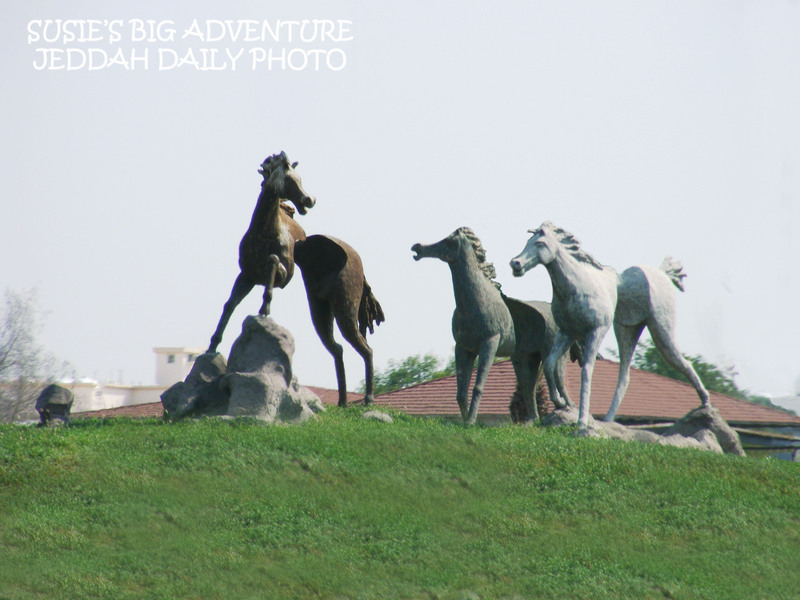 Hi Beth – I hope you enjoy the pictures of the many sculptures that I have published here. I am actually approaching my 1000th posting in the next couple of months! I don’t mind if you use some of my photos for your personal use – and thanks for asking. Many people here still have quite an aversion to cameras, even though taking photos in public now is supposed to be perfectly legal. Best Wishes! Hi. I love your blog. 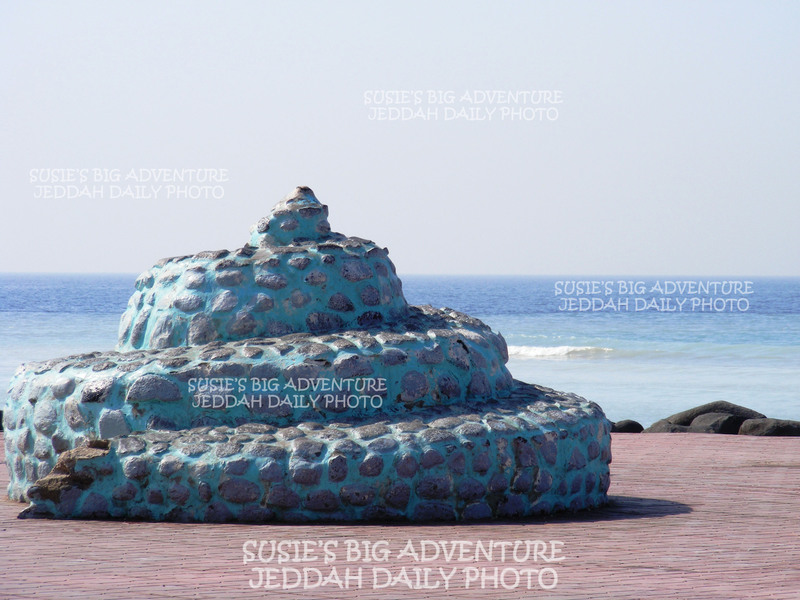 it’s got all the pictures I want of jeddah! 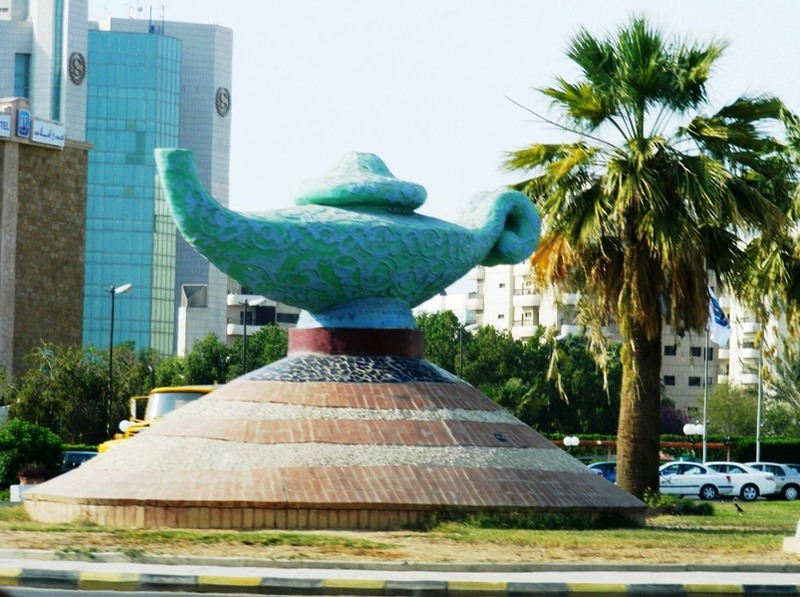 even tho i am an expat i was born here in jeddah, and jeddah will always hold a special place in my heart. that’s why I really really love your photos, it will always give me a chance to show people where I grew up. Hi Tanny – You are very welcome! Thanks for letting me know how much you appreciate it. You made my day. Many of the sculptures on this page are from the Alhamra Open Air Museum. I am glad to meet you on this web, pls I am interested about red sea and I used to be in riyadh , recently I moved to jeddah , I don’t know much about the beautiful reef places on the great sea , and the beach where we can swim and have fun . 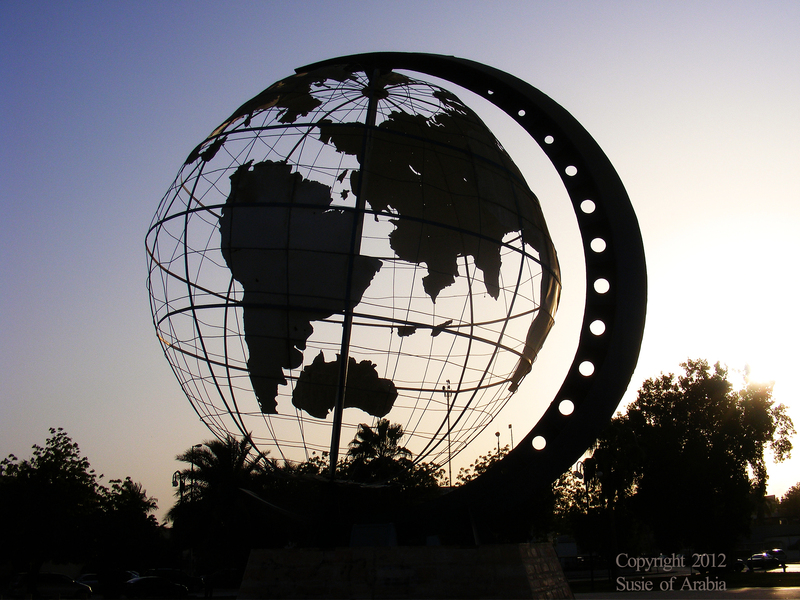 Many resorts and beaches cater to expats, and some do not allow Saudis. and is it ok if i post your pics on my blogs? i’d like to show it my friends who always asked me what Jeddah looked like. Don’t worry, I’ll tell them these pictures are yours. 🙂 No copyrights infringement intended. 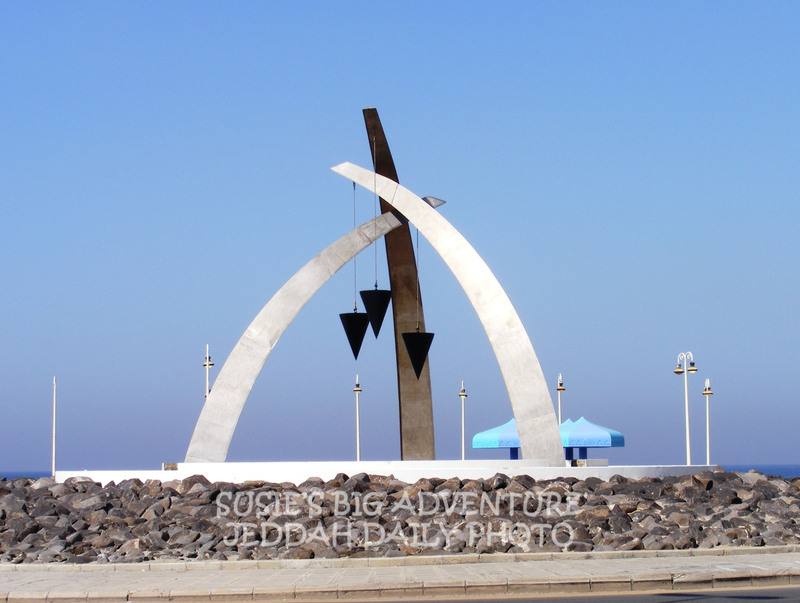 I’m glad you are enjoying the photos of all the sculptures of Jeddah that I have posted. I believe I know which sculpture you are talking about. I have a photo of it that I will publish in this coming week. I don’t mind if you post some of my pics on your blog – and thanks for asking. Look for that photo in a few days. Your pictures brought back so many memories of living in Saudi Arabia. I am intrigued though as photography was very haram when I lived there 1995-2000 and I do not have many pictures outside the compound where I lived. 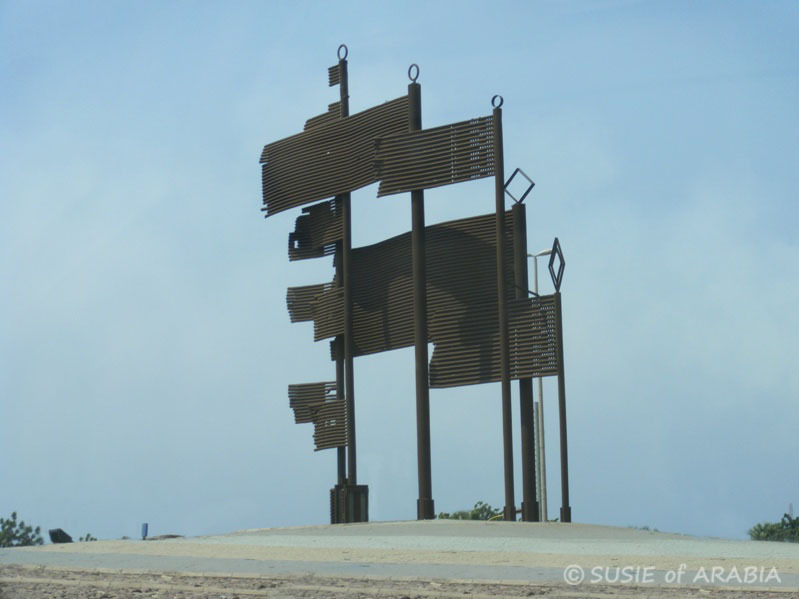 Love all the roundabout sculpture pics and the censored hair product packs etc. Glad I am viewing this all from afar though! Hi Sally – I’m glad you are enjoying the pics and they are bringing back memories for you. I still get nasty looks with my camera, although supposedly it is perfectly legal to take photos out in the open now, but people still have this repulsive aversion to it, even when I’m just taking pics of the scenery! Best wishes.